MATHEMATICS What do these collections of data tell you? For example you can say that the highest maximum temperature was in Jammu on 20.06.2006 (Table 3.1) or we can say that, on Wednesday, no child was absent. (Table 3.3) Can we organise and present these data in a different way, so that their analysis and interpretation becomes better? We shall address such questions in this Chapter. 3.2 COLLECTING DATA The data about the temperatures of cities (Table 3.1) can tell us many things, but it cannot tell us the city which had the highest maximum temperature during the year.To find that, we need to collect data regarding the highest maximum temperature reached in each of these cities during the year. In that case, the temperature chart of one particular date of the year, as given in Table 3.1 will not be sufficient. This shows that a given collection of data may not give us a specific information related to that data. For this we need to collect data keeping in mind that specific information. In the above case the specific information needed by us, was about the highest maximum temperature of the cities during the year, which we could not get from Table 3.1 Thus, before collecting data, we need to know what we would use it for. Given below are a few situations. 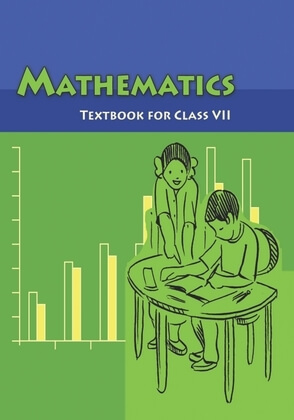 You want to study the – Performance of your class in Mathematics. – Performance of India in football or in cricket. – Female literacy rate in a given area, or – Number of children below the age of five in the families around you. What kind of data would you need in the above situations? Unless and until you collect appropriate data, you cannot know the desired information. What is the appropriate data for each? Discuss with your friends and identify the data you would need for each. Some of this data is easy to collect and some difficult. 3.3 ORGANISATION OF DATA When we collect data, we have to record and organise it. Why do we need to do that? Consider the following example. Ms Neelam, class teacher wanted to find how children had performed in English. She writes down the marks obtained by the students in the following way: 23, 35, 48, 30, 25, 46, 13, 27, 32, 38 In this form, the data was not easy to understand. She also did not know whether her impression of the students matched their performance. MATHEMATICS • The average temperature at this time of the year is about 40 degree celsius. • The average age of pupils in my class is 12 years. • The average attendance of students in a school during its final examination was 98 per cent. Many more of such statements could be there. Think about the statements given above. Do you think that the child in the first statement studies exactly for 5 hours daily? Or, is the temperature of the given place during that particular time always 40 degrees? Or, is the age of each pupil in that class 12 years? Obviously not. Then what do these statements tell you? By average we understand that Isha, usually, studies for 5 hours. On some days, she may study for less number of hours and on the other days she may study longer. Similarly, the average temperature of 40 degree celsius, means that, very often, the temperature at this time of the year is around 40 degree celsius. Sometimes, it may be less than 40 degree celsius and at other times, it may be more than 40°C. Thus, we realise that average is a number that represents or shows the central tendency of a group of observations or data. Since average lies between the highest and the lowest value of the given data so, we say average is a measure of the central tendency of the group of data. Different forms of data need different forms of representative or central value to describe it. One of these representative values is the “Arithmetic mean”. You will learn about the other representative values in the later part of the chapter. 3.5 ARITHMETIC MEAN The most common representative value of a group of data is the arithmetic mean or the mean. To understand this in a better way, let us look at the following example: Two vessels contain 20 litres and 60 litres of milk respectively.What is the amount that each vessel would have, if both share the milk equally? When we ask this question we are seeking the arithmetic mean. In the above case, the average or the arithmetic mean would be Total quantity of milk 20 +60 = litres = 40 litres.Number of vessels2 Thus, each vessels would have 40 litres of milk. The average or Arithmetic Mean (A.M.) or simply mean is defined as follows: Sum of all observations mean = number of observations Consider these examples. EXAMPLE 1 Ashish studies for 4 hours, 5 hours and 3 hours respectively on three consecutive days. How many hours does he study daily on an average? MATHEMATICS 3.5.1 Range The difference between the highest and the lowest observation gives us an idea of the spread of the observations. This can be found by subtracting the lowest observation from the highest observation. We call the result the range of the observation. Look at the following example: EXAMPLE 3 The ages in years of 10 teachers of a school are: 32, 41, 28, 54, 35, 26, 23, 33, 38, 40 (i) What is the age of the oldest teacher and that of the youngest teacher? (ii) What is the range of the ages of the teachers? (iii) What is the mean age of these teachers? SOLUTION (i) Arranging the ages in ascending order, we get: 23, 26, 28, 32, 33, 35, 38, 40, 41, 54 We find that the age of the oldest teacher is 54 years and the age of the youngest teacher is 23 years. (ii) Range of the ages of the teachers = (54 – 23) years = 31 years (iii) Mean age of the teachers 23 + 26 + 28 + 32 + 33 + 35 + 38 + 40 + 41+ 54 = years 10 350 = years = 35 years10 EXERCISE 3.1 1. Find the range of heights of any ten students of your class. 2. Organise the following marks in a class assessment, in a tabular form. 4, 6, 7, 5, 3, 5, 4, 5, 2, 6, 2, 5, 1, 9, 6, 5, 8, 4, 6, 7 (i) Which number is the highest? (ii) Which number is the lowest? (iii) What is the range of the data? (iv) Find the arithmetic mean. 3. Find the mean of the first five whole numbers. 4. A cricketer scores the following runs in eight innings: 58, 76, 40, 35, 46, 45, 0, 100. Find the mean score. Favourite Colour Red Green Blue Yellow Orange Number of Students 43 19 55 49 34 Students Ajay Bali Dipti Faiyaz Geetika Hari Marks Obtained 450 500 300 360 400 540 MATHEMATICS (ii) Now represent the data on the bar graph. Consider the following two collections of data giving the average daily hours of sunshine in two cities Aberdeen and Margate for all the twelve months of the year. These cities are near the south pole and hence have only a few hours of sunshine each day. In Margate Jan. Feb. Mar. April May June July Aug. Sept. Oct. Nov. Dec. Average hours of Sunshine 2 13 4 4 4 37 4 8 17 2 7 16 4 6 4 2 In Aberdeen Average hours of Sunshine 11 2 3 13 2 6 15 2 16 2 15 2 5 14 2 4 3 31 4 By drawing individual bar graphs you could answer questions like (i) In which month does each city has maximum sunlight? or (ii) In which months does each city has minimum sunlight? However, to answer questions like “In a particular month, which city has more sunshine hours”, we need to compare the average hours of sunshine of both the cities. To do this we will learn to draw what is called a double bar graph giving the information of both cities side-by-side. This bar graph (Fig 3.1) shows the average sunshine of both the cities. For each month we have two bars, the heights of which give the average hours of sunshine in each city. From this we can infer that except for the month of April, there is always more sunshine in Margate than inAberdeen.You could put together a similiar bar graph for your area or for your city.